In baseball At Pos Long field Friday night, the Paris Wildcats got the victory over North Lamar 5–3. Coleman Lewis only allowed one hit. Paris is now 2–2 in district play while North Lamar is 1–3. The Panthers will be in action tonight in a non-district matchup against Gilmer. 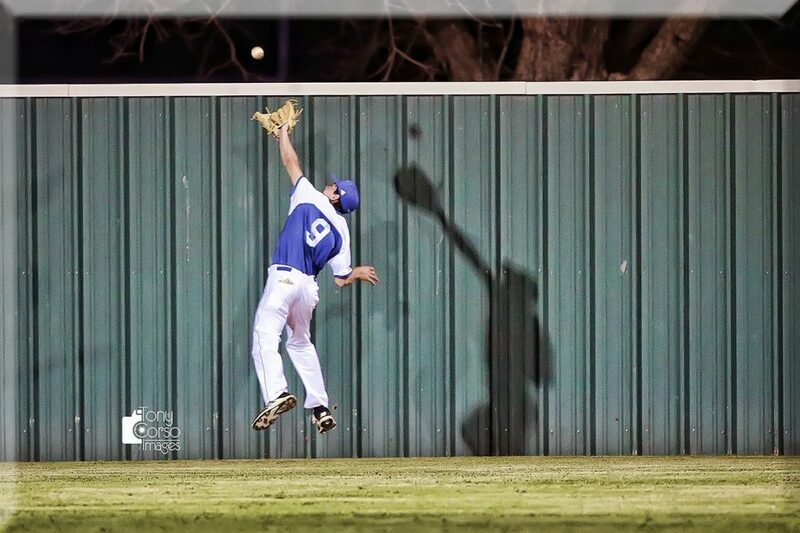 The Prairiland Patriots picked up their first district win as they defeated Mt Vernon 5–2 at home. In softball, The Chisum Lady Mustangs defeated Chapel Hill 1–0 in a pitchers duel. Paige Shelton got the win in the circle as she only gave up four hits and had 16 strikeouts in the shutout win. The only run of the game came in the sixth when Hannah Ford got an RBI single. The Dallas Stars begin a critical four-game road trip tonight in Winnipeg. Dallas is currently one point up on Colorado for the first Wild Card spot. Rob Gronkowski is walking away from football. The New England Patriots tight end announced on Instagram on Sunday that he is retiring from the NFL after nine seasons. Gronk leaves the game as arguably the most dominant tight end of all-time. An unstoppable receiver and blocker over the course of his nine-year career, Gronk went over 1,000 receiving yards in a season four times in nine seasons. His unique combination of size and skill made him unguardable in his early years. He caught 38 touchdowns in his first three seasons, including a league-leading 17 in 2011. The most by a TE in NFL History. The 29-year-old finishes his career with 521 receptions, 7,861 receiving yards and 79 touchdowns, including 81 receptions and a tight end-record 1,163 receiving yards and 12 scores in 16 postseason games. The NCAA tournament is down to the Sweet 16. There were some upsets on Saturday, including the elimination of Villanova and Kansas, and the continuation of LSU. On Sunday, Duke had a battle with UCF and the #1 seeded Blue Devils pulled off a 77-76 win to head to the Sweet 16. Texas Tech also advanced in the Tournament. The University of Alabama and men’s basketball coach Avery Johnson have parted ways after four seasons. Johnson, who previously coached the NBA’s Dallas Mavericks and Brooklyn Nets following a 16-year playing career, went 75-62 and made one NCAA tournament appearance at Alabama. On Wednesday, the Crimson Tide lost 80-79 in overtime to Norfolk State in the first round of the NIT. Veteran right-hander Jason Hammel has informed the Texas Rangers he is retiring after earlier being told by the team he would make the Opening Day roster. The Rangers had told Hammel on Friday that he would make the club as a long reliever. He has been with the team this spring on a minor league contract. On Friday night, however, he told the team he planned to retire. “After discussing it with the family, he felt spending time with them was his priority right now. The Rangers open the regular season Thursday vs the Chicago Cubs. Georgia Tech defensive lineman Brandon Adams died in Atlanta on Saturday, the school announced. The school didn’t disclose the cause of Adams’ death. He was 21. Adams was a rising senior after playing in 33 games over three seasons from 2016 to ’18. He had 41 career tackles, 6½ tackles for loss and two forced fumbles during his career. Last season, he set career-high season totals with 24 tackles, five tackles for loss and two forced fumbles in 13 games.